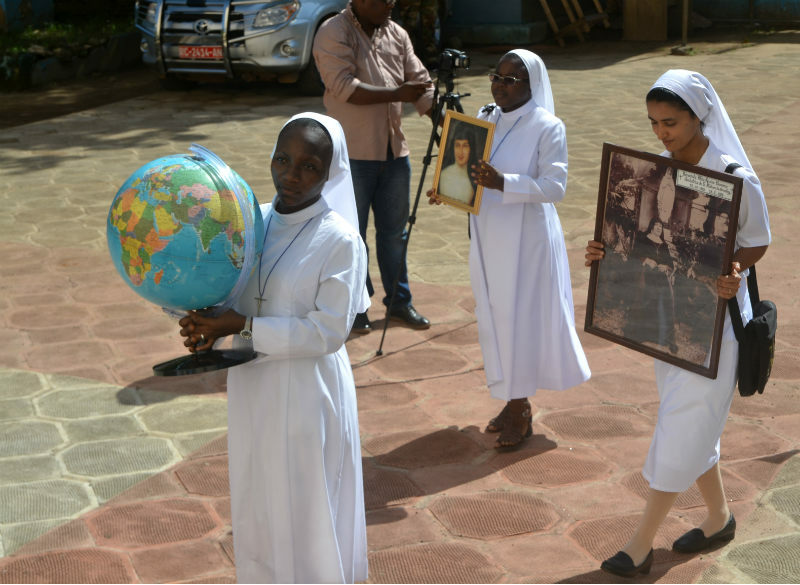 Looking back in time, the year 1893 undoubtedly marked one of the most important events in the history of Guinea: the arrival of the Sisters of Saint Joseph of Cluny. 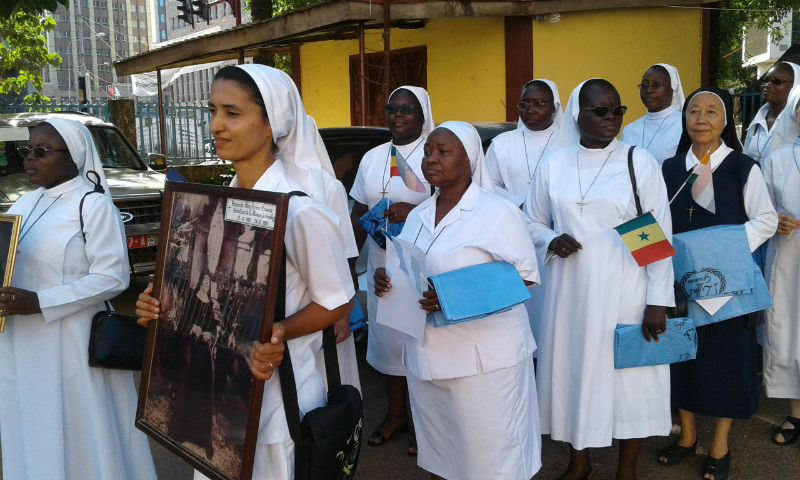 In order to keep the Conakry Hospital, Dr. Ballay, the then governor, proposed the idea of asking the Cluny Sisters to come to Guinea. 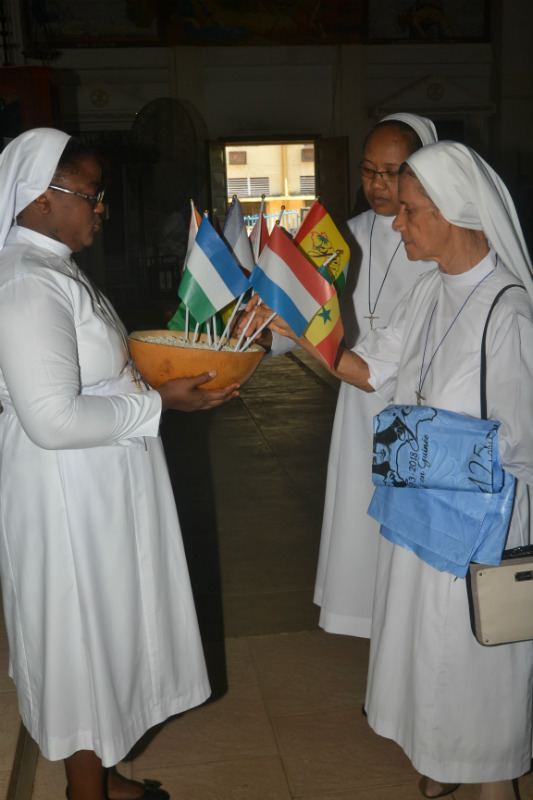 Formalities of an agreement with the Sisters of Saint Joseph of Cluny began. 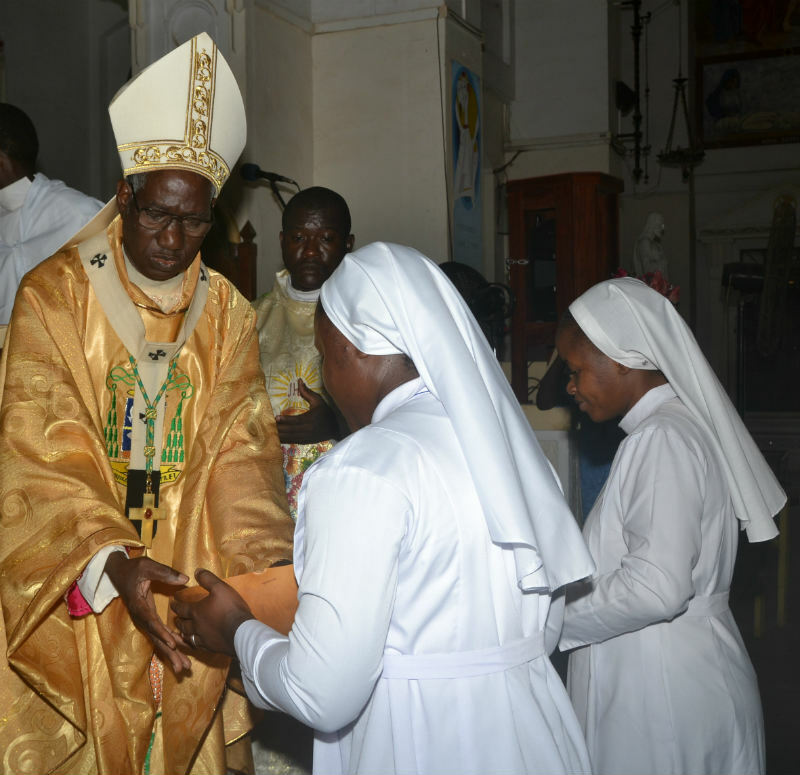 The agreement was obtained and the government planned their implementation. 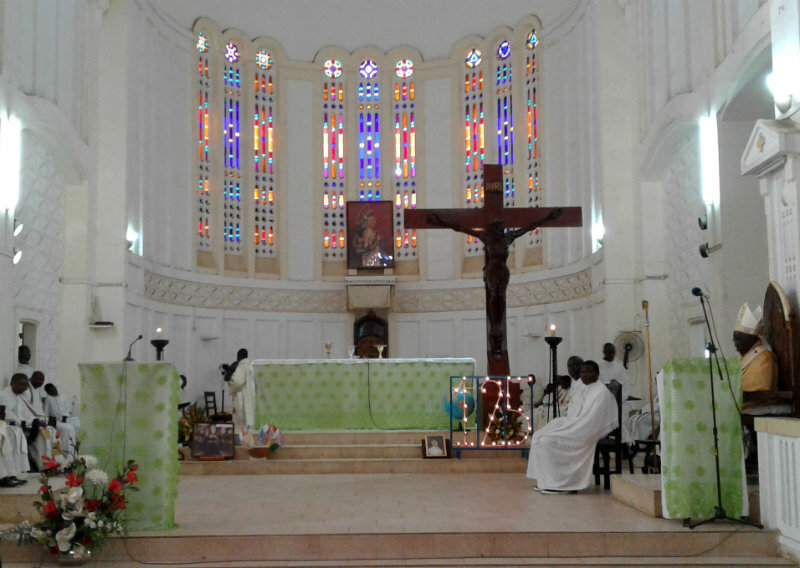 Thus, the first sisters (Sisters Rosine, Felix and Othilie) arrived in Guinea, on Christmas Eve, December 24, 1893 to establish a hospital and a girls’ school. 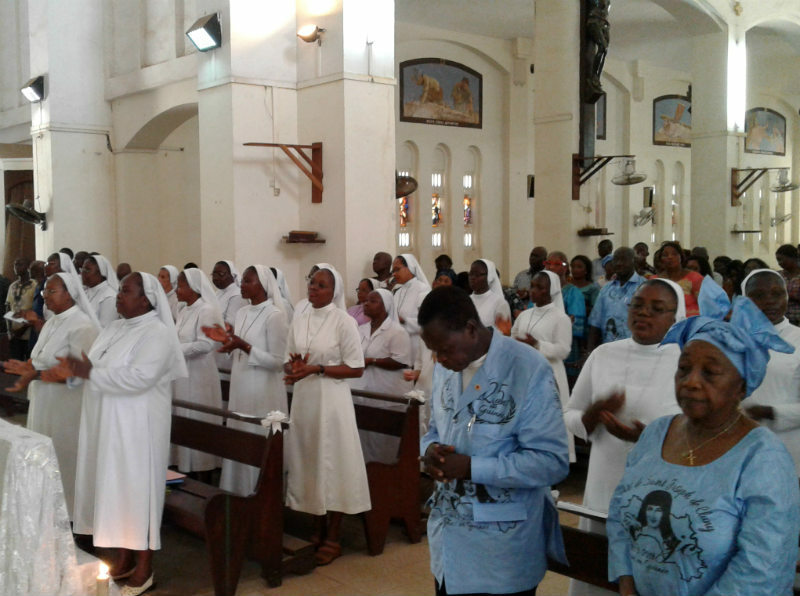 For more than a century, that being 1893 to the present, the Sisters of Cluny have rendered an immense pastoral service to the people of Guinea and in particular to our Church. 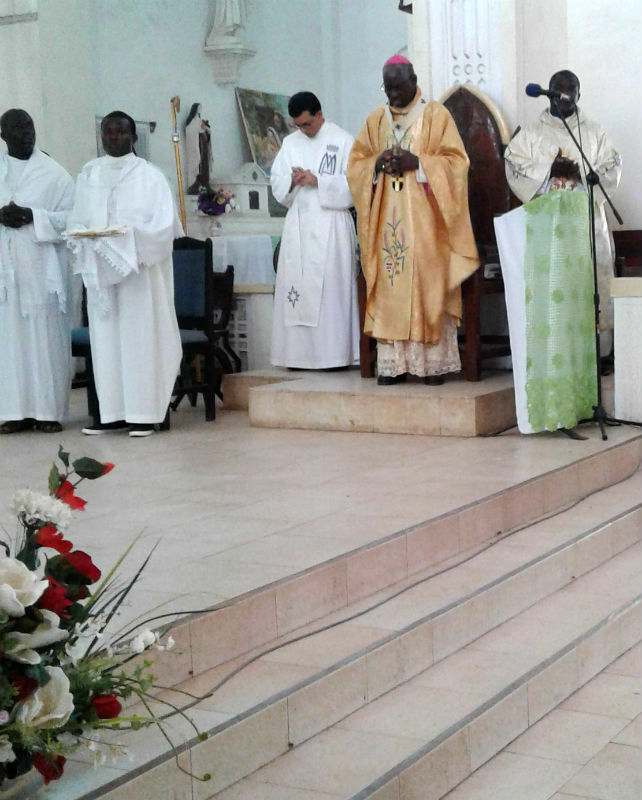 That is 125 years of Cluny presence in Guinea! 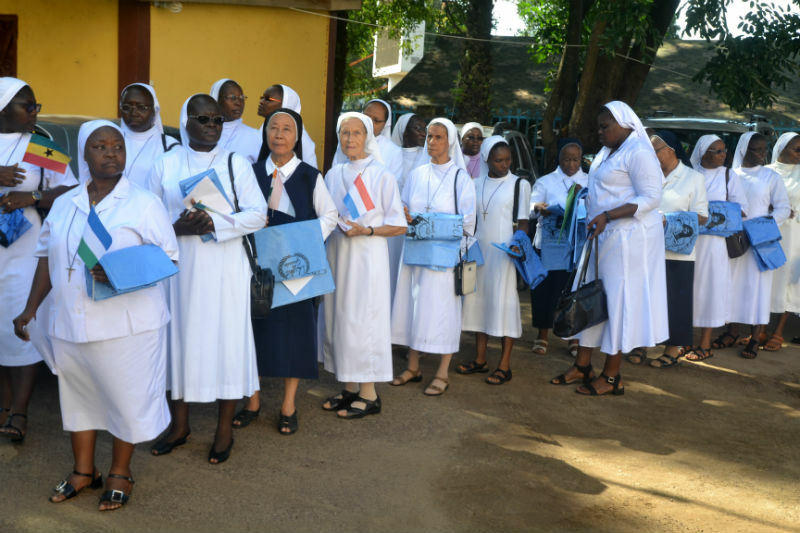 In spite of all the difficulties encountered, the sisters have always served in the fields of education, health and catechesis with joy, determination and love. 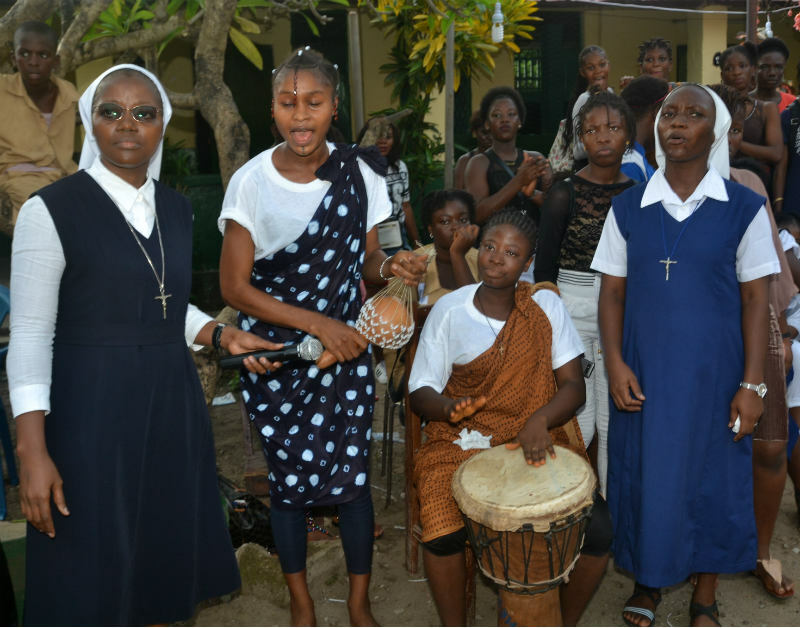 Such a blessing from God deserves to be celebrated in joy and thanksgiving. 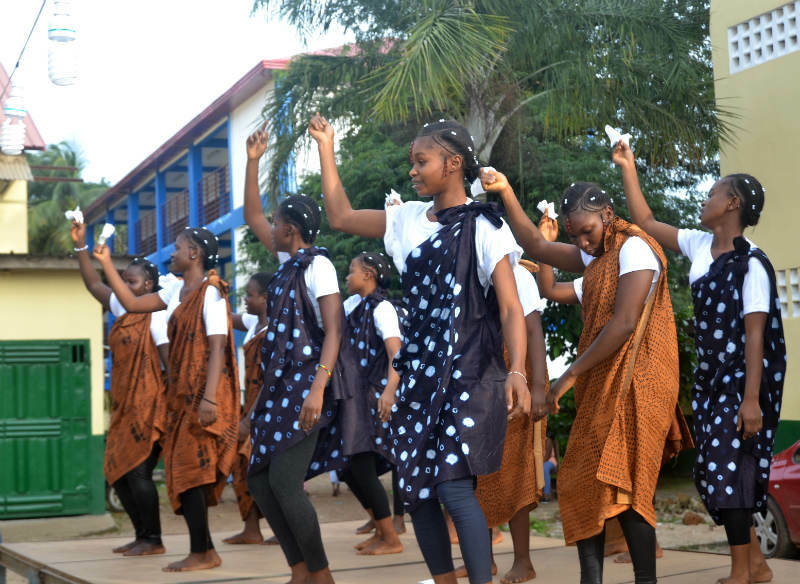 Thus, from Sunday, October 22, 2017 (the day of the solemn opening of our Jubilee Celebration), until October 20, 2018 (closing day of our Jubilee Celebration), we sang, danced and praised God for God’s many wonders. 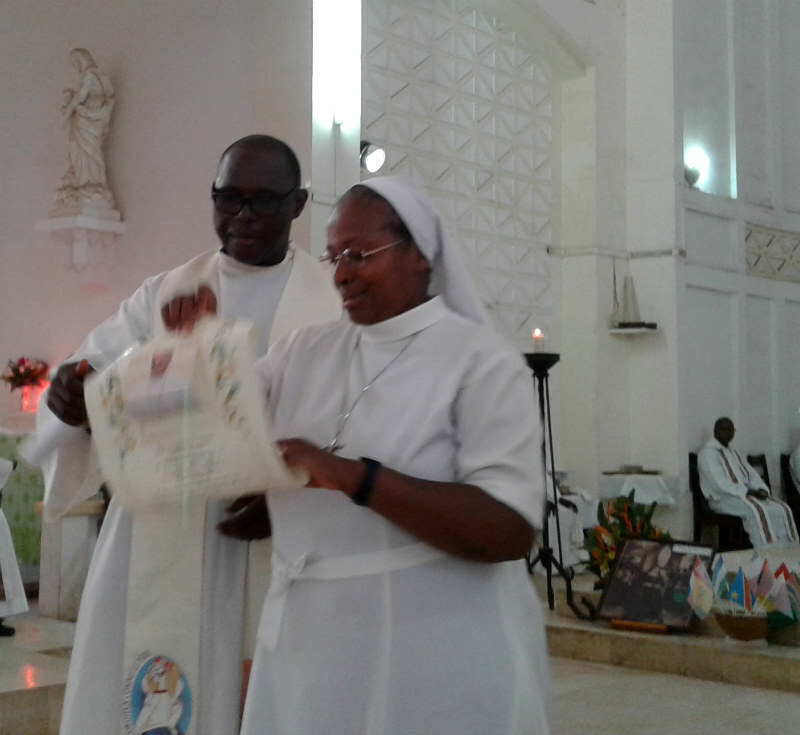 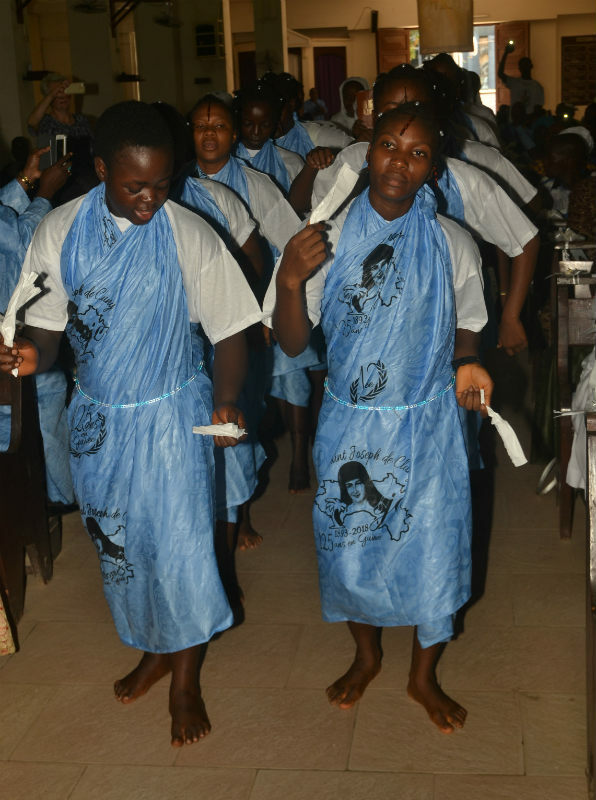 The culmination of this celebration was also marked by the celebration of the 25th Jubilee of religious life of Sister Marie Pauline Soumah in our congregation. 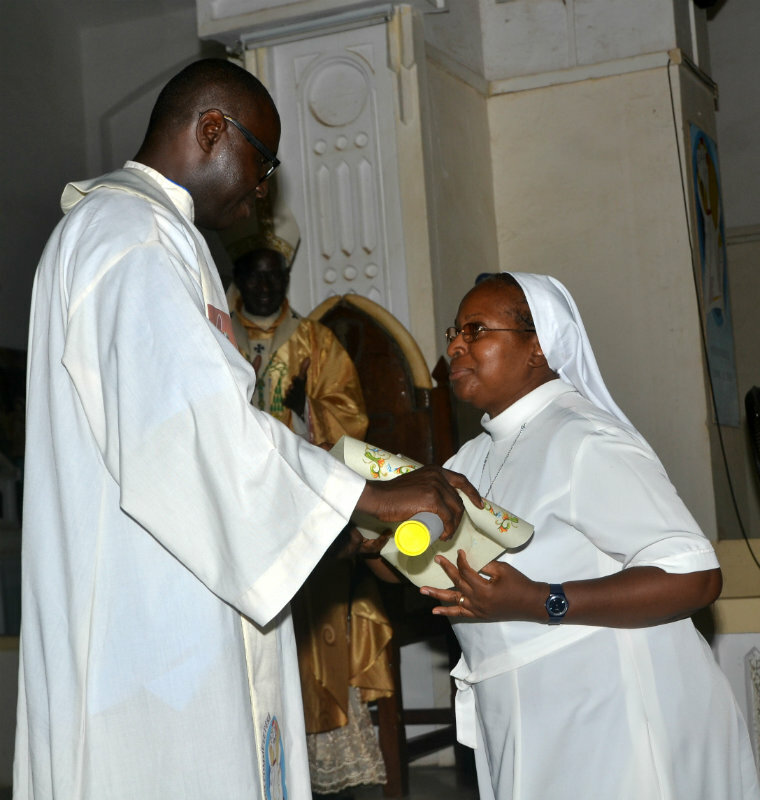 We praise the Lord for all the benefits to the region of Guinea and for the many vocations in our religious family. 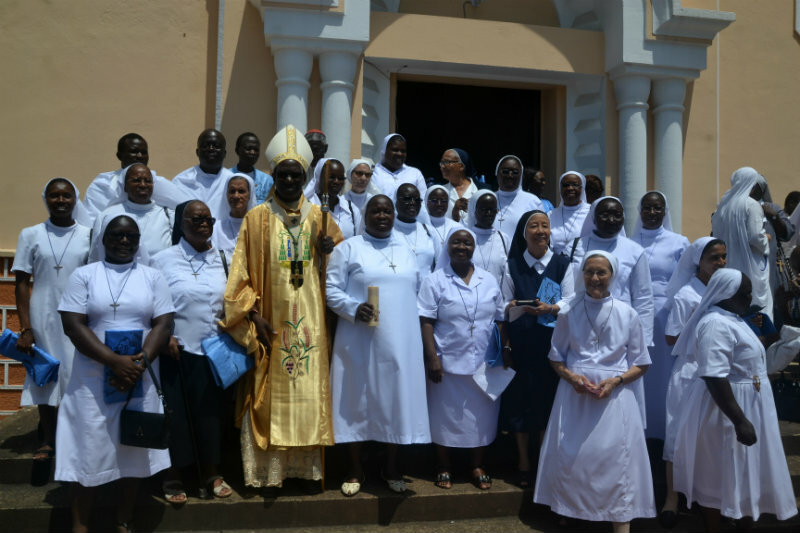 Our sisters from neighboring countries, including Sierra Leone, Senegal, and The Gambia, took part in the closing Mass, along with the participation of many priests, men and women religious and faithful of the diocese. 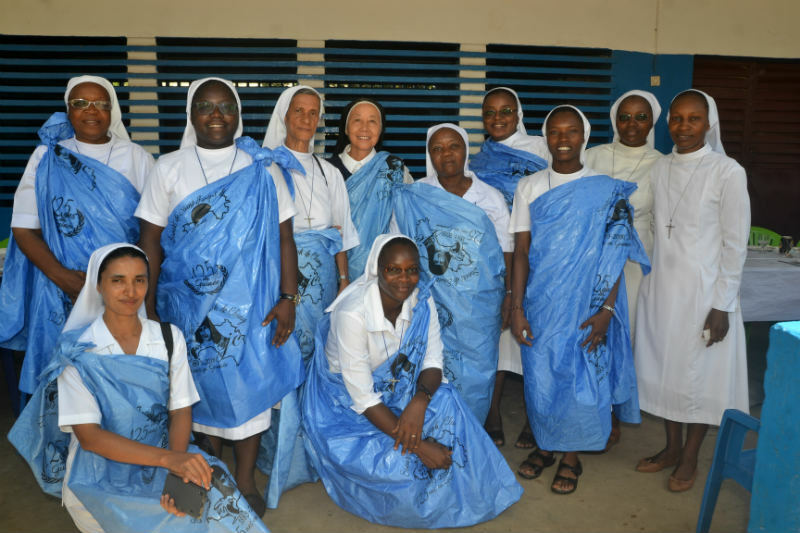 We give thanks to God for all the graces and blessings received from the time of our predecessors until now, all in honor of Anne Marie Javouhey’s daughters in Guinea.